Handwriting expert testimony is authorized by Federal Rules of Evidence, ARTICLE IX, Rule 901, (b). 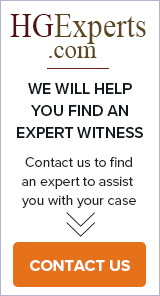 Cases in which handwriting experts are commonly used include disputed wills, contracts, altered checks, insurance policies and applications, graffiti, bomb and death threats, bank cards and documents, typewriter writings, harassment letters, letters, medical records, suicide notes, etc. Experts are used for document examination and identification, forgery identification, handwriting comparison or identification, photocopy identification, questioned documents examination, and records alteration analysis.